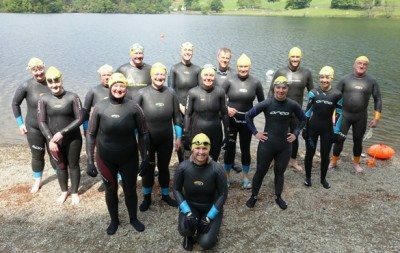 At Swim the Lakes we specialise in fitting wetsuits for open water swimming, ensuring our customers get the best from their new wetsuit. Getting the right fit with swimming wetsuits is crucial, they are engineered to fit your body to provide buoyancy, flexibility, warmth and to provide maximum swimming efficiency. If you want to own a wetsuit that enables you to swim faster and easier then ring us today. Great wetsuit and great service! Thanks to you all at Swim the Lakes. Your advice was invaluable in selecting the right size and model of wetsuit for me – the Reaction. We stock Blue Seventy wetsuits in men’s and women’s sizes from the entry level Sprint to the top of the range Helix. BlueSeventy are one of the most popular swimming wetsuit brands, they design great flexible suits at all price levels, we’ve dealt with BlueSeventy for a number of years and believe they offer something for every swimmer. We also stock the Orca Open Water wetsuits, another great respected brand, this offers an alternative style and fit. See our full swimming wetsuit range here. The Result – you get a wetsuit that fits you for optimal performance, efficiency and comfort. We’ll ensure you leave happy with a wetsuit that fits you and helps you attain your goals, whether that is swimming a personal best at a swimming event or simply staying warm and comfortable in the water while you dip and admire the view. Our wetsuit fitting service is free to customers buying a wetsuit. Don’t worry about a thing, we understand swimmers come in all shapes and sizes, that’s what we are here for. We will look after you, all you need to bring is your swimming costume/trunks and we’ll do the rest. Just ring us on 015394 33826 today and book your in-store fitting. You can also email us. Appointments are not really necessary, but we do advise you to ring ahead and book especially at busy times such as spring/ summer Saturdays & Sundays. We are usually open 9.30am – 5.30pm Mon-Saturday, plus 10am -4pm Sundays in the summer. In Autumn /Winter our hours tend to be 10am -5pm. Please see shop opening times here. We can sometimes arrange fittings outside shop hours to suit you. Our main wetsuit selling season normally runs from April until early September, and we usually have some clearance or sale wetsuits available outside these times. 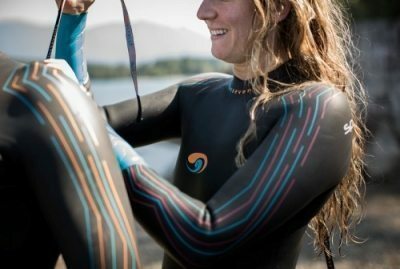 We also run Wetsuit Try-on Events throughout the spring, these are the ultimate try before you buy, because we do the wetsuit fittings by Windermere and you get to test them out in the water with our support and guidance. More information here: Wetsuit Try-On Events. Buy your wetsuit from the wetsuit fitting experts and you won’t go wrong. Read some of our customer testimonials for swimming wetsuit fittings. Massive thanks today for helping me get the perfect wetsuit! Its taken me a while but you were great today and offered a really personal service. I’ve tested it out and its fab! Thanks again!